It seemed rude to introduce a new ship class and not tell you a bit about it. The T’Plakta Class is a long range science vessel with little in the way of armament, but many interesting lines of defense. 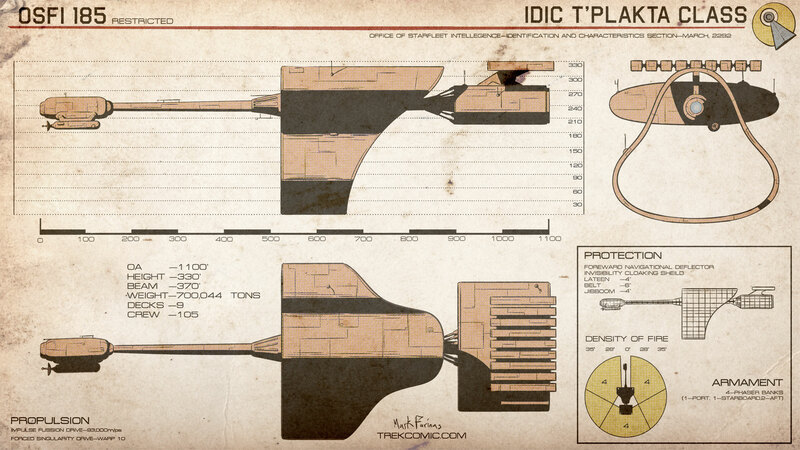 Despite it’s large size (160ft longer than a Starship Class vessel) there is very little room for crew giving the T’Plakta a maximum compliment of 105 on her best days. The Vulcan ships are perhaps more realistic than the Earth ships. A large crewless propulsion section, a ring-ish warp drive that seems to mimick an Alcubierre drive, and a small crewed section up front.